​A practical and user-friendly security solution that provides peace of mind for guests. 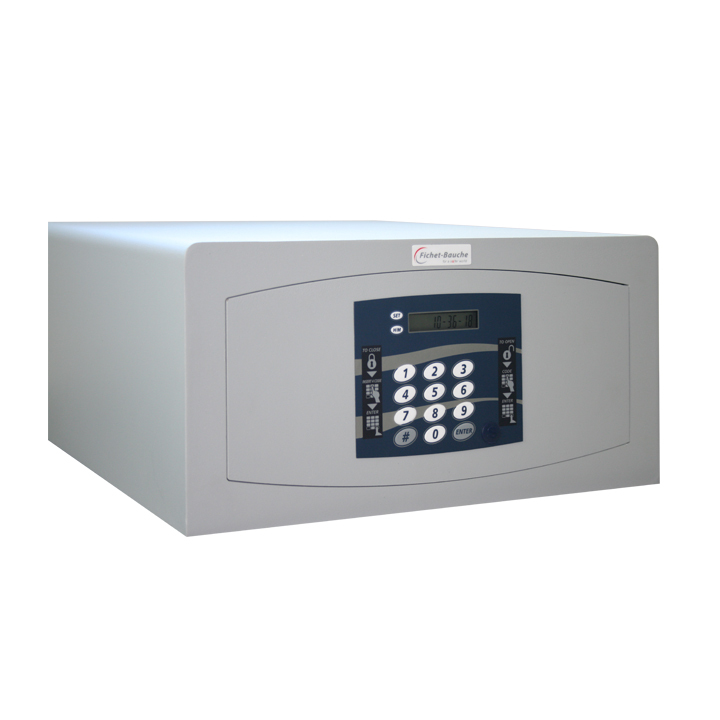 Confident Hotel from Fichet-Bauche is a security safe with burglary protection for the hotel environment. You need a simple and convenient safe to protect the valuables and important documents of your customers in hotel rooms, student residences or other high-turnover accommodations. But you also want a reliable solution back up by a famous security brand. Confident Hotel offers the elementary burglary protection with the quality guarantee from Fichet-Bauche. Designed with user-friendliness in mind, it provides two types of locking systems, via code or through card reader. In addition, you can also charge your electronic device thanks to an integrated electrical socket.